A fascinating collection of railwayana has found its way to a west Wales town without a train station. The Carningli Centre in Newport, Pembrokeshire, offers a range of railway items and memorabilia from the glory days of steam power, to the UK’s modern transport system. A curious treasure trove of uniforms, lamps, signs, numbers, pictures and unexpected finds such as first aid boxes and switches can be found among the shop’s other antiques, collectables, books and art. The shop is also well known for its ornate oil lamp collection, and often sources spare glass for casualties of dusting or dogs in customers’ homes. Ann Gent, who has run the shop with Graham Coles for nearly 20 years, became interested in the intriguing world of rail while living in Settle, Carlisle, when her local station was saved from closure shortly before she opened her first shop. She became drawn into the antiques trade while helping a neighbour who needed assistance watching his shop while running errands, and started to share his knowledge with her. Meeting Graham meant Ann’s eye for the trade developed along with her experience, and the pair set up their shop in the bustling sea-side town 19 years ago, with Graham specialising in restoration. The trade in Wales was slightly different from what they had experienced in England, with different materials commonly used, but their contacts were happy to travel the extra distance and the shop soon filled up. 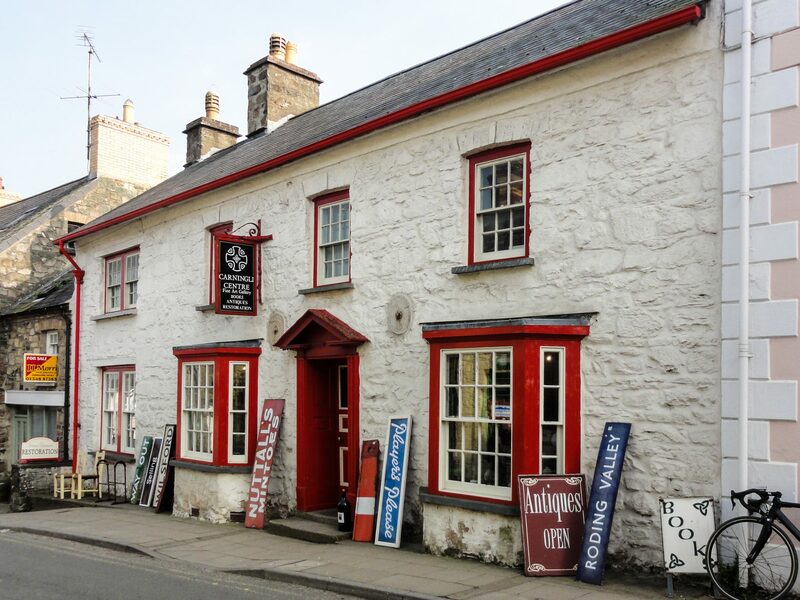 The shop has had several visits from the Antiques Road Trip film crew, and is a popular place to discover an eclectic range of country furniture, vintage tools, bottles, maps, prints and pictures. Railwayana is sourced at auctions and collectors’ events, where Ann enjoys meeting new people and talking to enthusiasts. She has also taken opportunities to explore working railways and peep inside signal boxes whenever possible. She said: “You meet some fascinating people. I’m lucky that I get to handle all these interesting items and enjoy them in the shop. I have some bits at home that I would never sell, but I have to run it as a business and not get too attached. Also, if you sell something you can move on and buy something else. All eras of railway history are represented in the shop, from pristine finds to pieces showing the natural wear and tear of working life. Changing trends mean that some customers are drawn to the retro look, and are keen to see the age and history of the item reflected by its condition. While Ann and Graham usually take their van on their travels to buy antiques, they try to take train journeys whenever possible, and recently journeyed all the way to Barcelona by rail via Paris.